When data backup and recovery service is performed, the files are copied back to the C: drive in a folder named Data Xfer (C:\Data Xfer). A shortcut (top left image) is also added to the desktop for easy access. 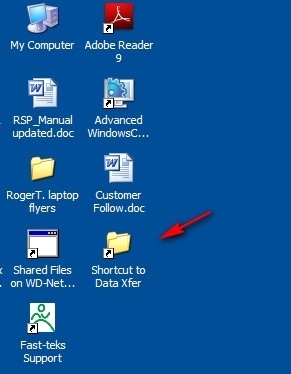 Or the folder can be accessed via Windows Explorer (bottom left image).